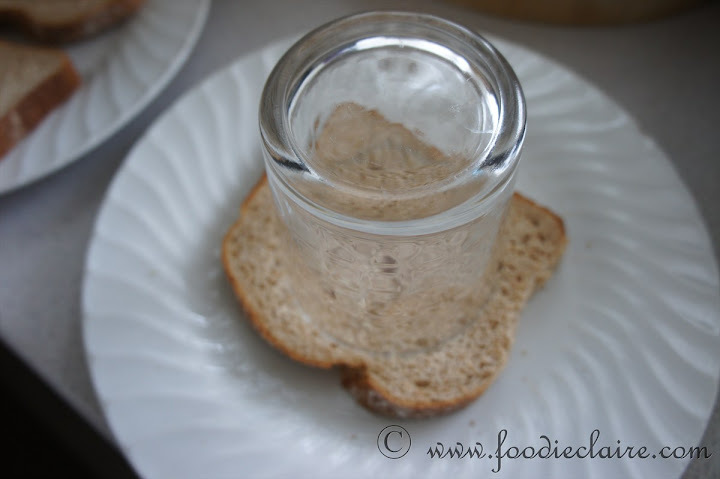 Use a glass or something with a fairly thin rim to cut out your hole. 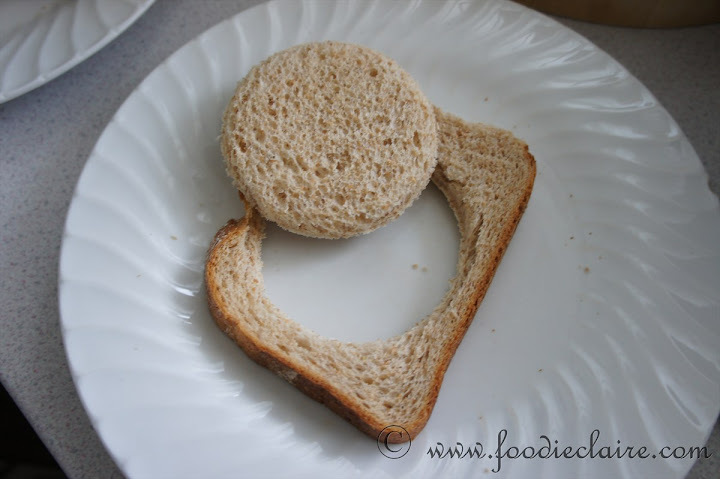 Be sure to check that you have enough space around the bread to contain the egg. 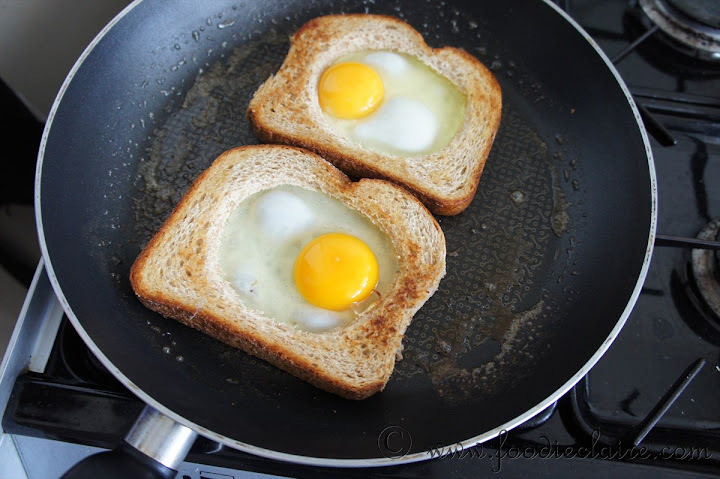 Lightly fry one side of the bread in a little oil and butter, then turn over and crack your egg into the hole. I pricked my yolks but it would be just as tasty with intact yolks. If you have guests staying and want to impress (or warp their mind), serve up this little treat. Easy to create and visually effective. 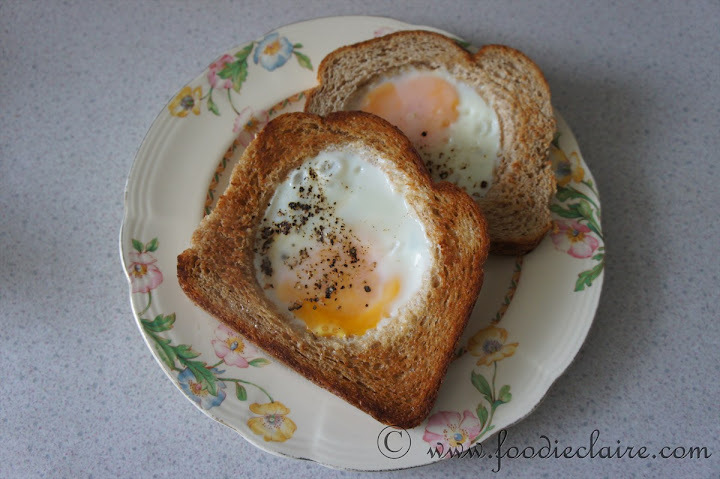 I’m still awaiting pics of your egg in a hole Miss Noel! 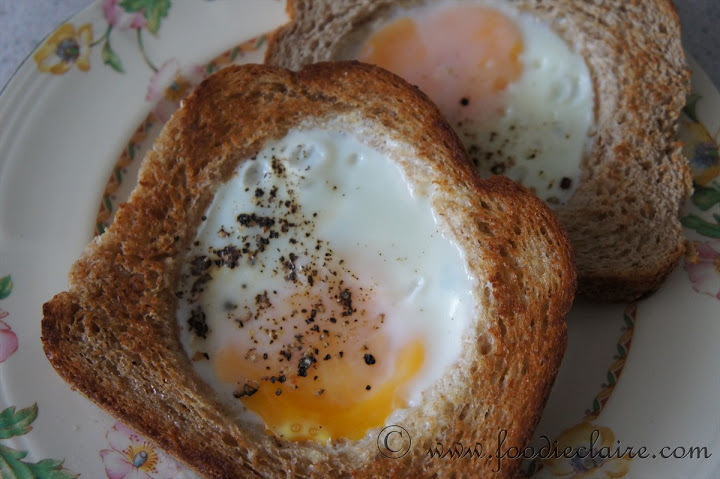 I always called that eggs in a nest..